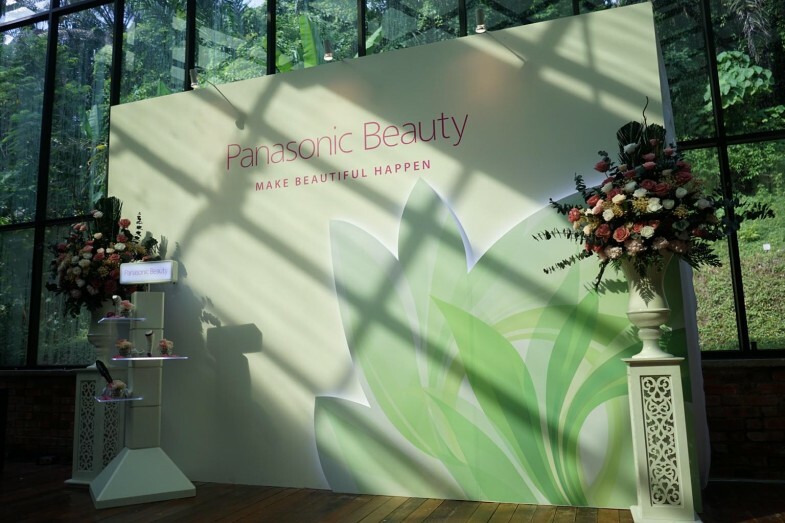 I have been attending Panasonic beauty café events since 2014, but whenever I receive an invitation from Panasonic beauty, I still genuinely get really excited! 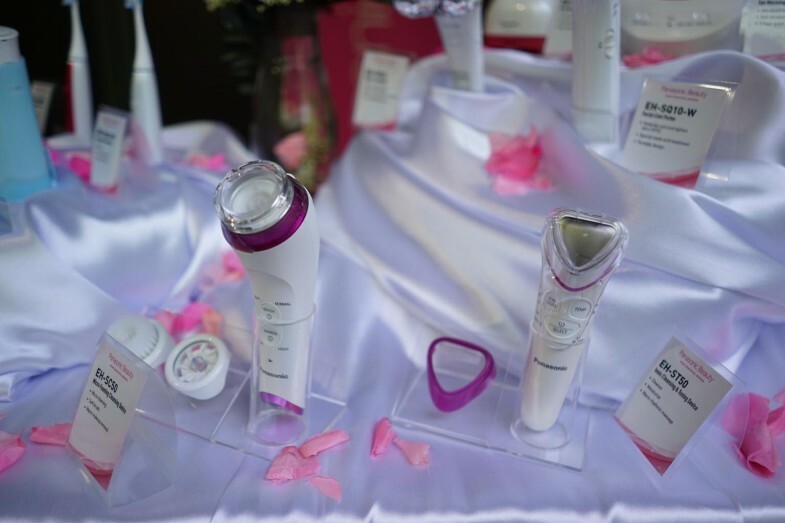 This is because I know I would be able to check out all the new beauty technology for my face, hair or even body! Ever since I attended their first beauty café I told myself I have to keep coming back to check out more products from them. 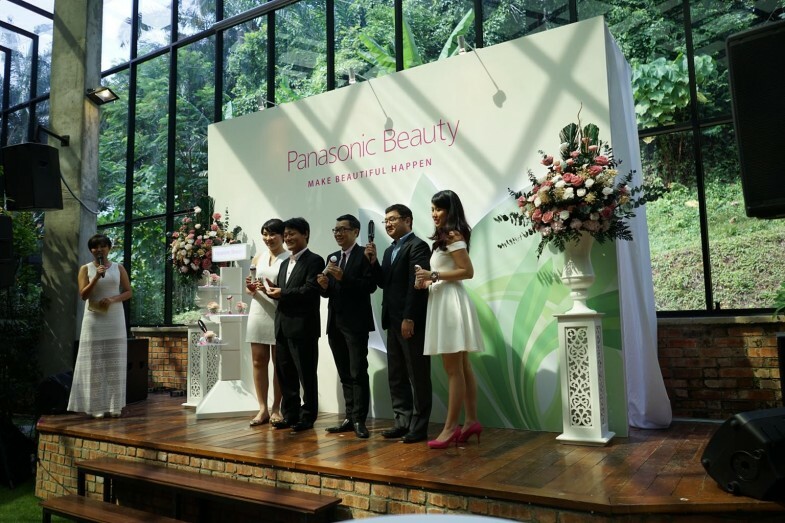 I’m so glad that Panasonic invited me to their recent beauty café that took place a few weeks ago in Glasshouse Seputeh! 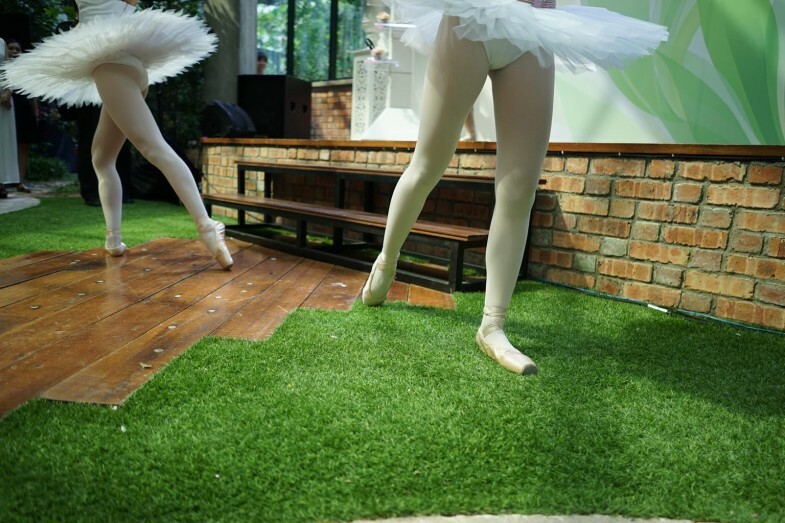 It was also my first time going to Glasshouse and I have previously heard a lot of good feedback from my friends that have been there. They say it’s a perfect place for pictures because of the natural lighting. 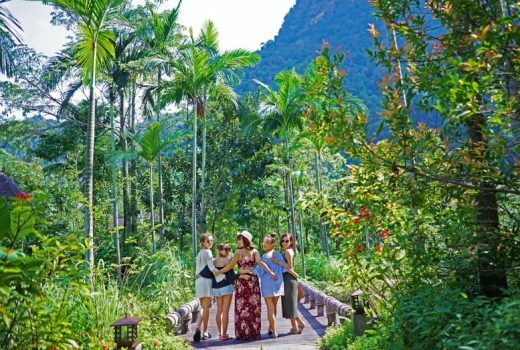 They were right about this place, it’s literally a lush garden in a glasshouse! Got there early so I get to enjoy stuffing myself full of fingerfood haha. 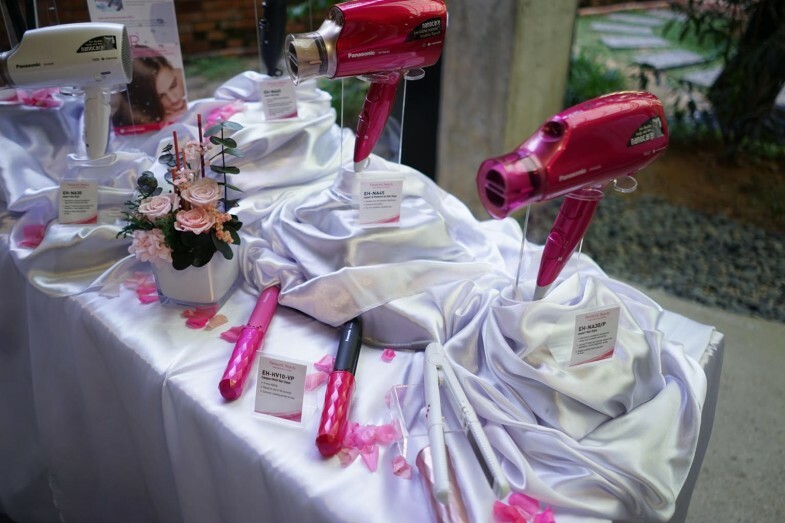 There was a booth to showcase Panasonic Beauty Inventions! 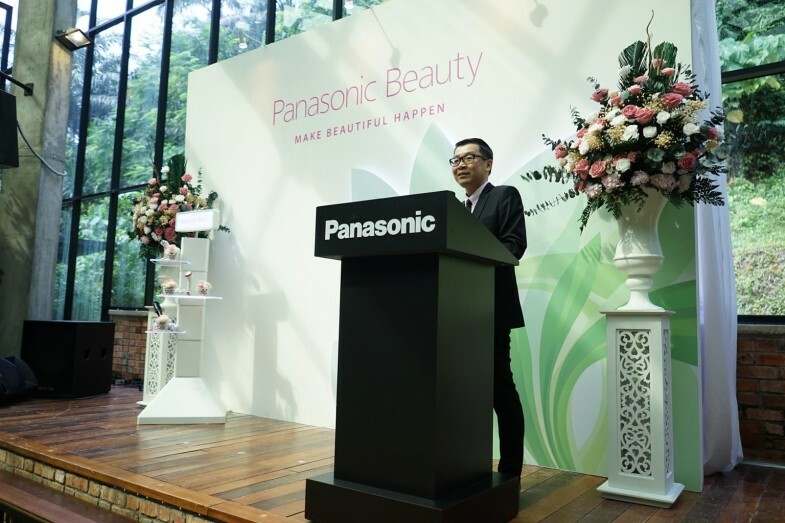 As usual, Panasonic Beauty Café started with a welcome speech by Mr Cheng Chee Chung, Managing Director Panasonic Malaysia. 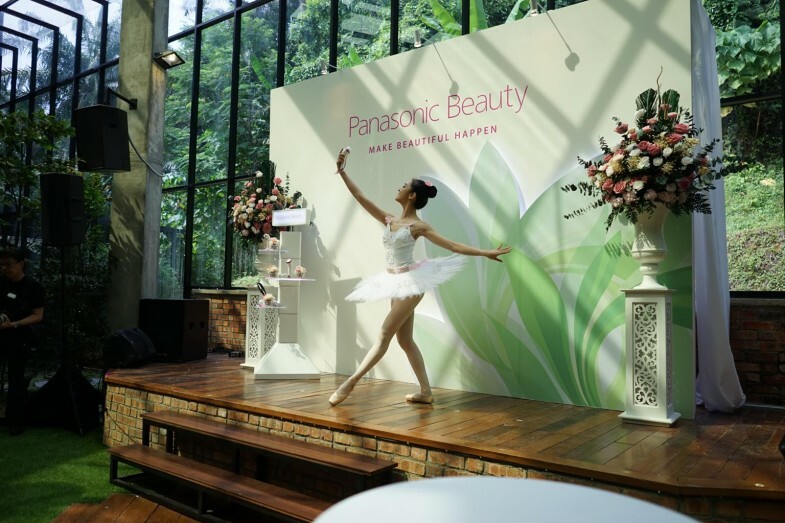 Then a dance performance from ballerinas who were holding Panasonic Beauty new products. 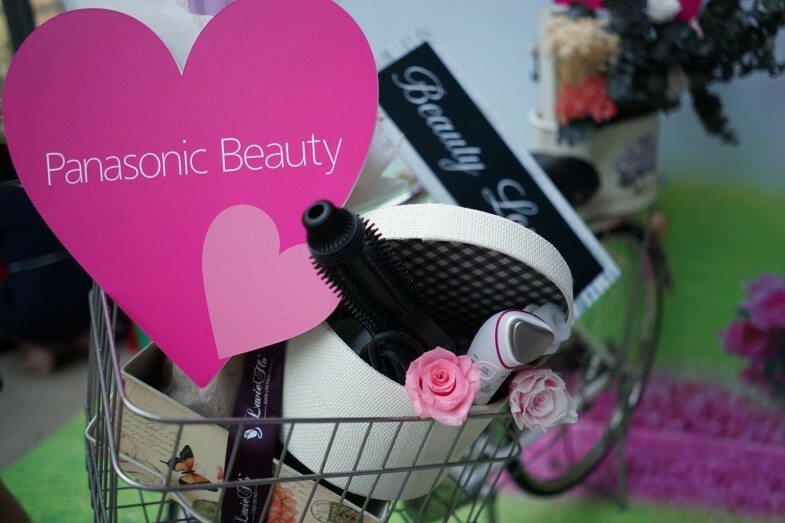 After that, it was our time to experience Panasonic Beauty products! 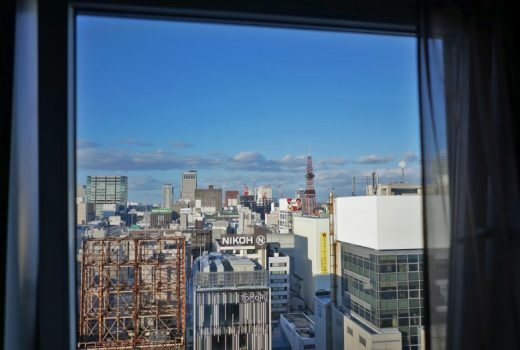 I really like attending events that we can get experience a product hands-on instead of just walking around and taking pictures of the products and selfies. 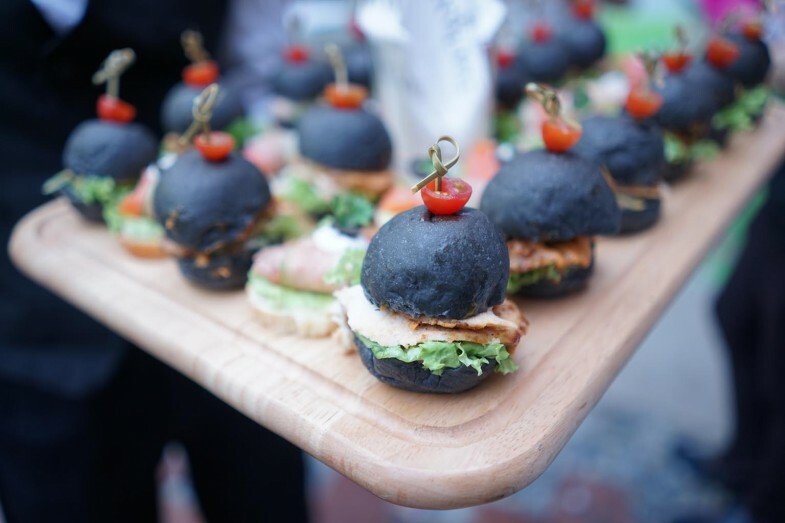 Hands-on experience helps us to better understand the products so that we can properly share with our readers, don’t you think? 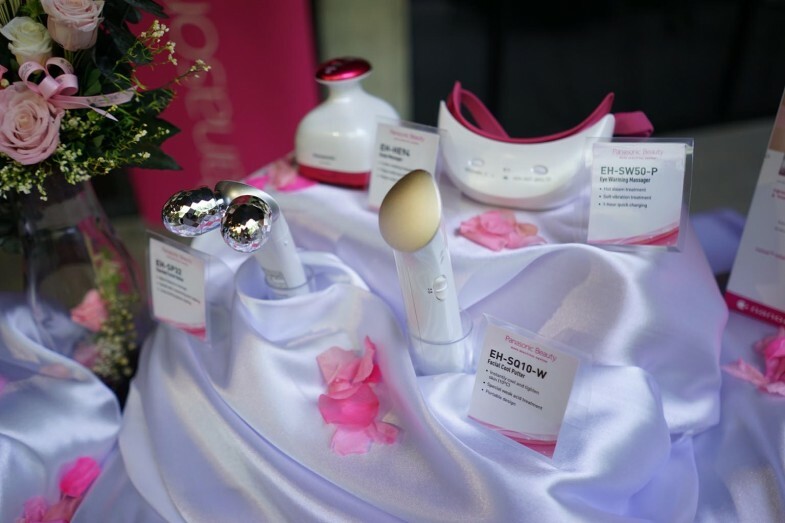 We were brought into another room filled with Panasonic latest beauty products, such as EH-SC50 and also EH-ST50. When they told me we will be required to remove our makeup at the event my thought was like should I bring extra towel or whatever a? 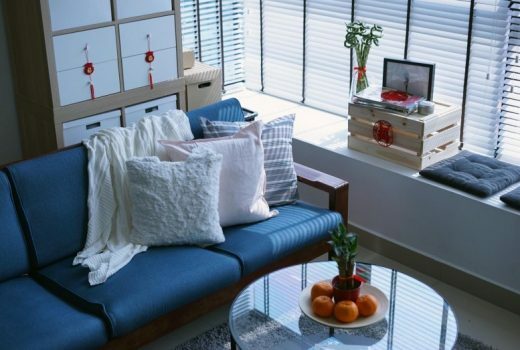 So happy that Panasonic was super thoughtful! They provided each of us with a cute pink hairband, a white robe and also a face towel! 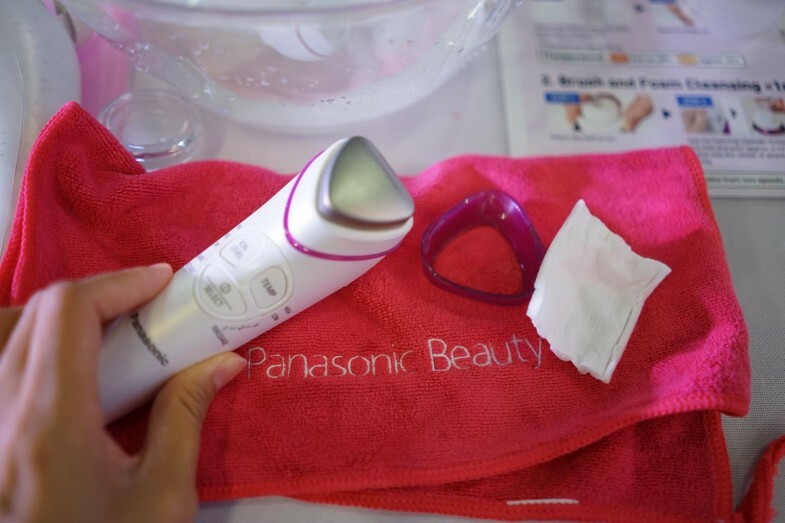 First we listened to the instructions on how to use Panasonic Micro Foam Cleansing Device. First step is to remove our makeup! 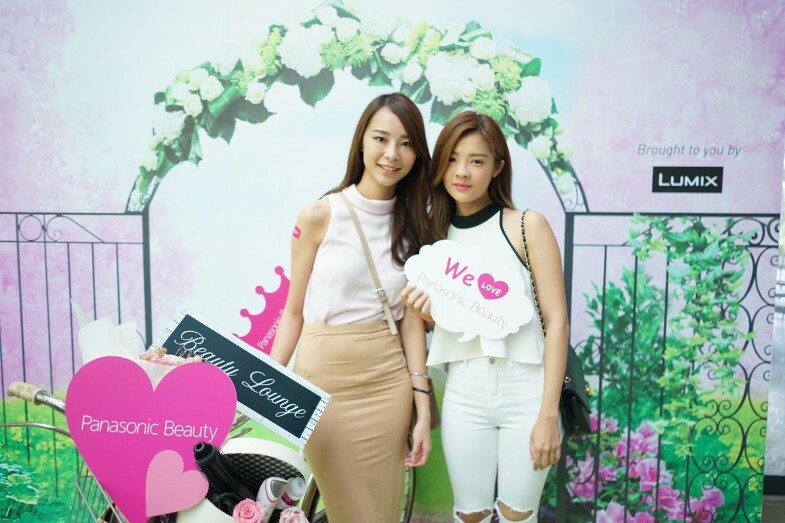 We were using Bio-Essence makeup remover and EH-SC50. 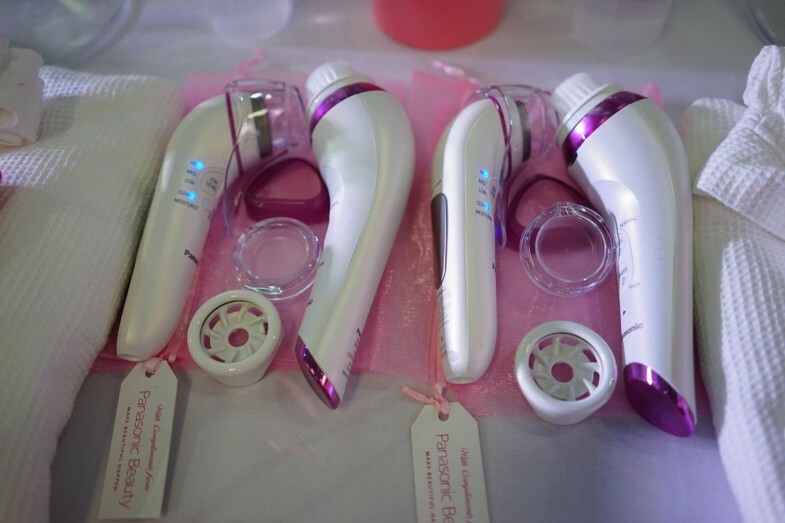 There is two different heads for this device, warm makeup removal and brush & foam cleansing. 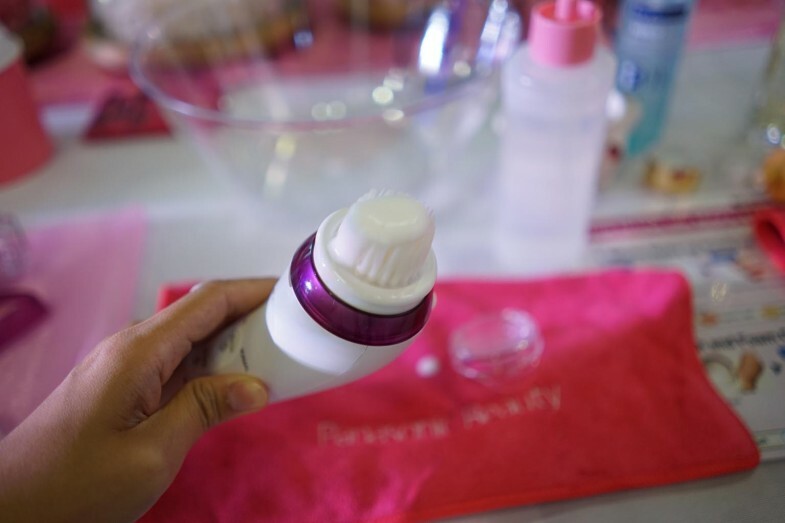 To use the warm makeup removal, you just need to press the warm button, apply the makeup remover on your face then glide the makeup removal head, from inside out, to carefully blend your make up with the remover. Once you’re done blending your make up with the remover, rinse off the remover. Then it’s time for the facial cleansing step, which is my favorite step haha. 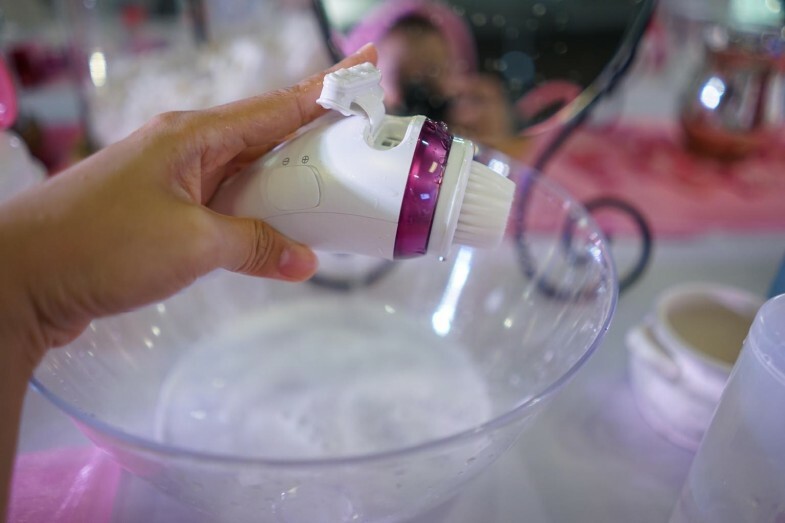 I’m sure a lot of you have seen a few brands coming out with a facial cleansing device but I’m 100% you have never seen one that has a foam generator, I know =) When I first saw it I was like OMG, this is what I have been looking for!!! The step is pretty simple! 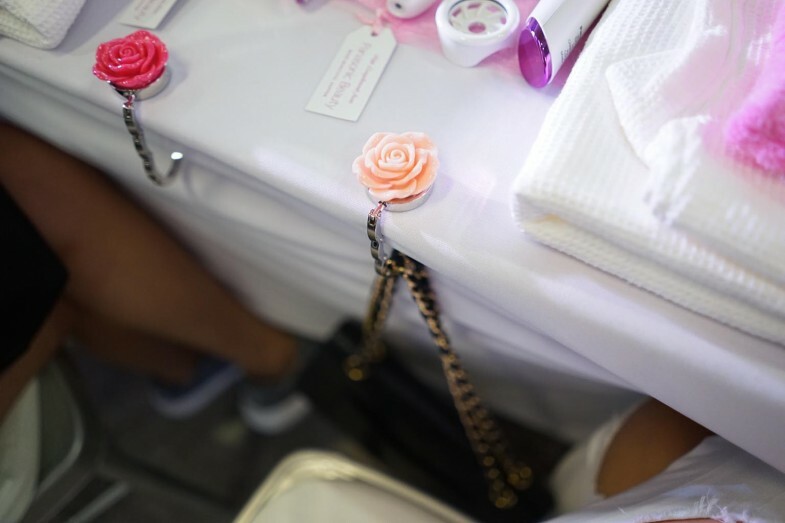 First, attach the soft brush on to the device. Add the foaming cleaner through the inlet and pour approx 4 ml of water into the center of the attachment cavity. Press the WASH button and select speed! It’s super simple right and it makes facial cleaning way more fun. Spread the foam around your face to slowly cleanse it! 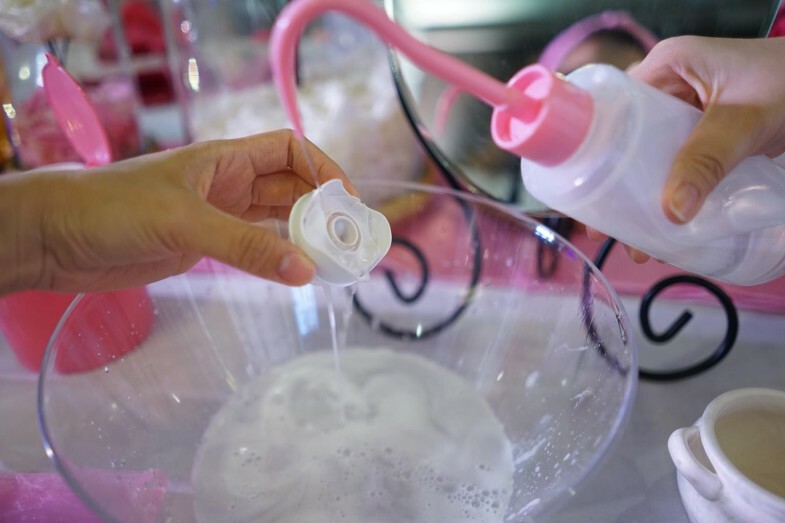 The foam generator generates an airy foam like whipped cream that hands can never match. I had to look in the mirror to make sure I wont wash away my eyebrows T__T cause I’m too lazy to redraw again lol. Same goes to cleaning the brush =) Then just leave it on the sink to air dry! Once we are done with facial cleaning we moved to toner and moisturizer. 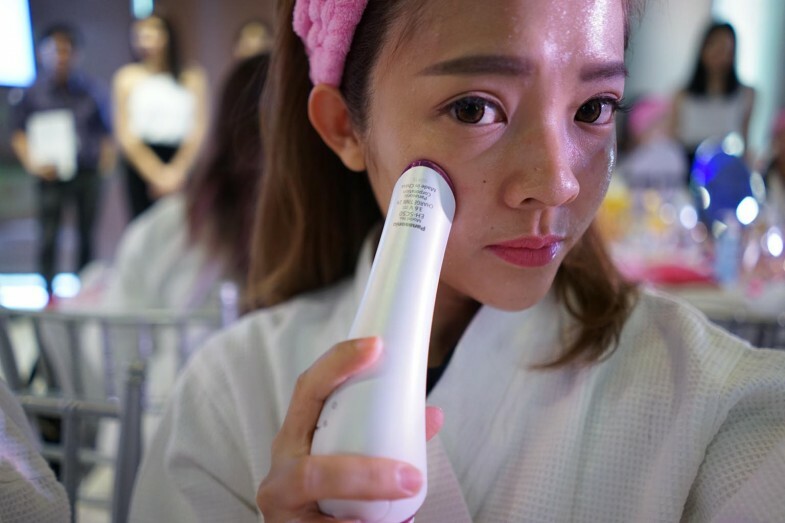 We are using EH-ST50 Ionic Cleansing and Toning Device for this step. 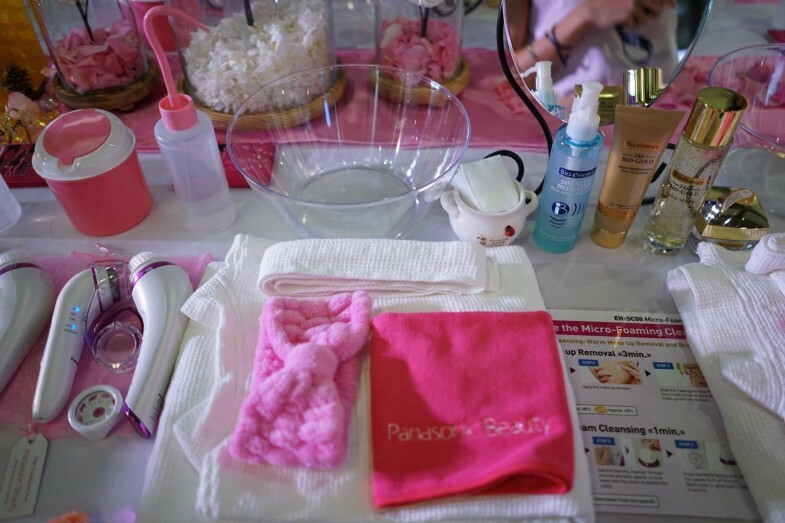 All you need is the device, cotton pad and your toner and moisturizer. Attach a cotton pad to the head and let it absorb the lotion. 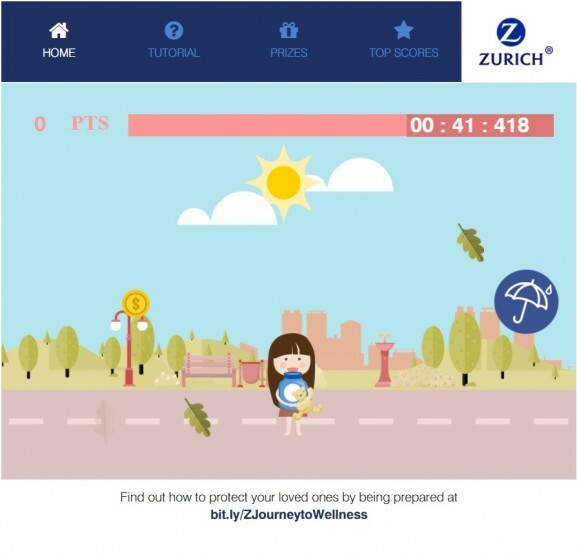 Press the select button, select CLEANSE mode and set the ION LEVEL. Then press TEMP button and select the temperature of you preference. 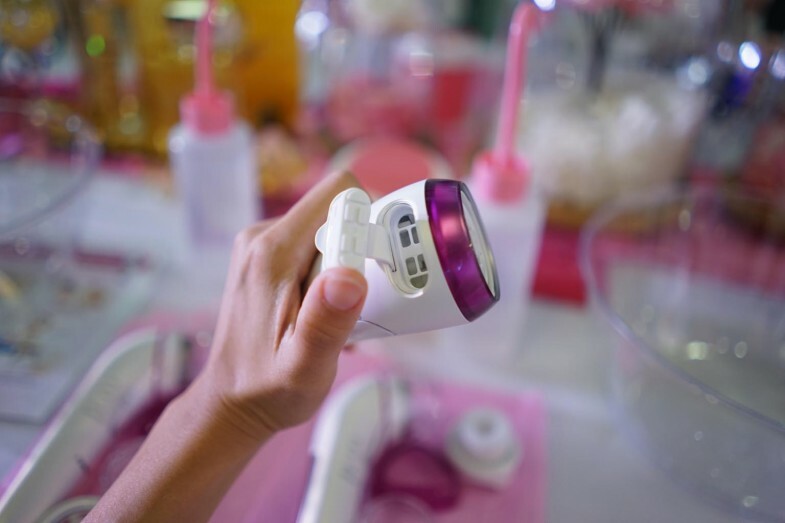 Grip the device on the ion panel from the rear, apply the cotton surface to the skin and gently glide it. Then we moved to moisturize! Repeat like what we have done on the toner step but select MOISTURIZE mode instead. 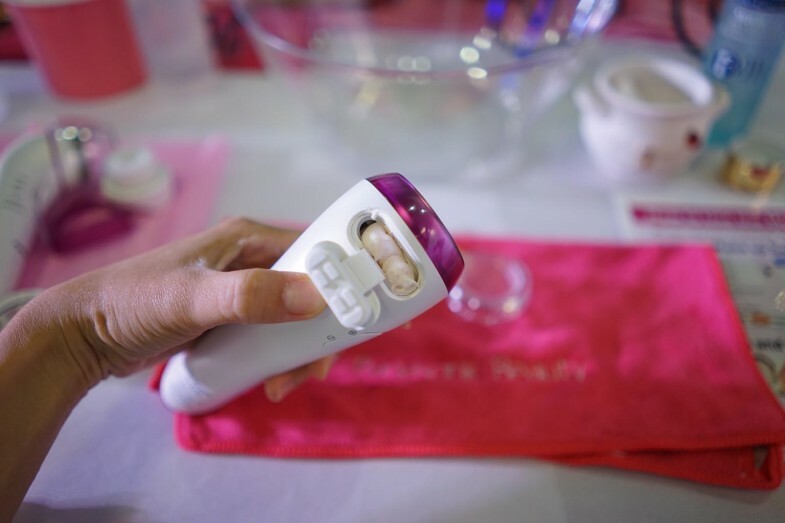 The last step is to massage your skin with the MASSAGE mode on the device. My face is so clean and fresh now! After our face now we move to hair, and a lot of people, including me have a lot of problem when it comes to styling our hair. 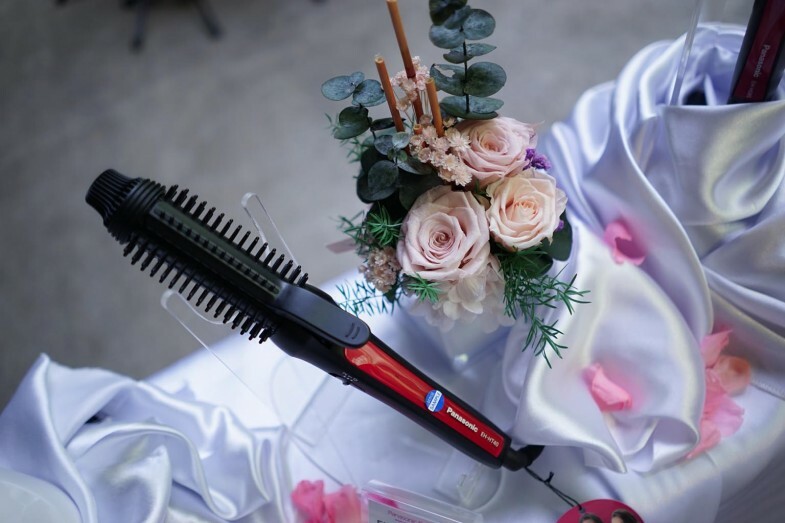 When I’m lazy I just tie them into a bun but when I’m not I always curl it with a curler but the problem with the curler that I have is that it always burns my hand or shoulder = =” So happy that Panasonic came out with a better curler for clumsy girls like me! It’s Panasonic Styling Brush EH-HT40. 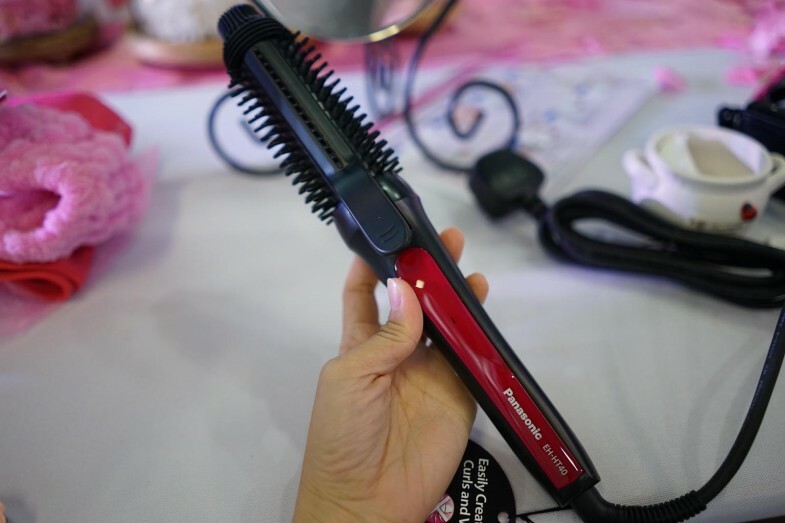 This tool comes with a brush and also a clip to let you achieve natural and beautiful curls! 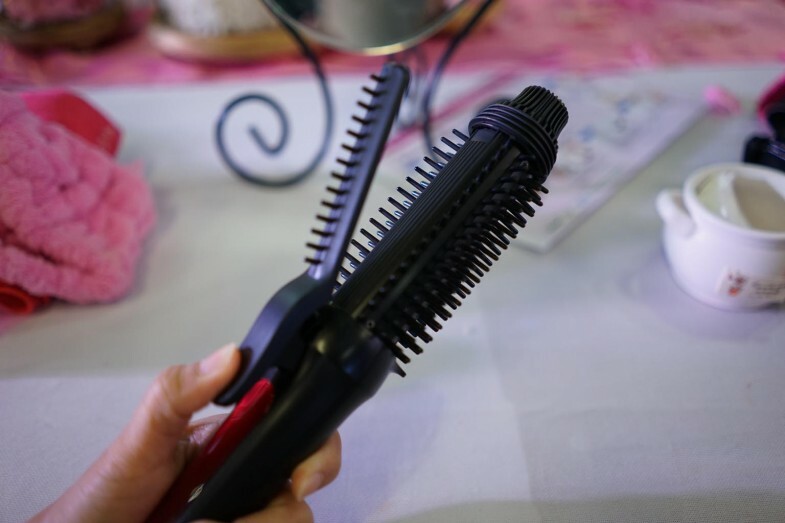 The best thing about it is that it wont burn your hand because of the static electricity suppressing brush. 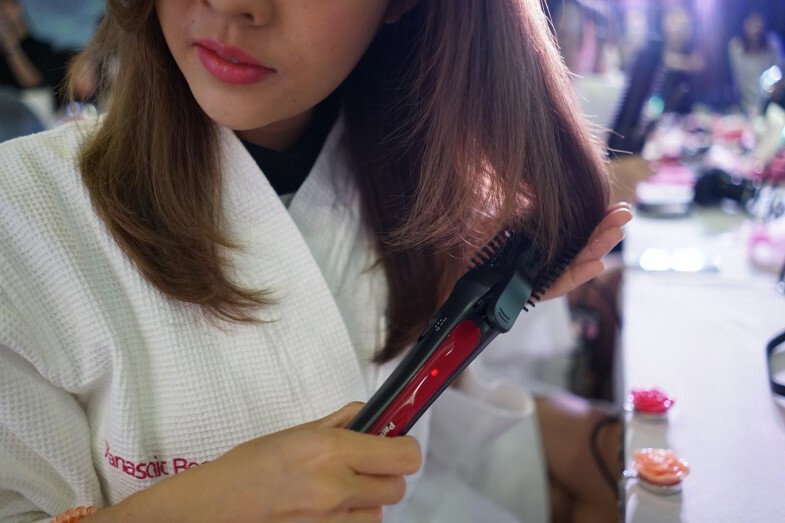 Yoshi san from Number76 was there to demo how to style our hair using EH-HT40! Then it’s my turn to do it myself hahaha. I’m quite amazed that it’s so easy to use! All you need to do is to just gently brush through your hair! It’s perfect to achieve a very natural end curls for my mid length hair. I was like ootd solo shot pls. hehe the last pic, and are you sure you are make up free, prettier!